Unfrozen is a new developer that works out of St Petersberg in Russia. Its debut game, Iratus: Lord of the Dead, is one interesting title indeed. 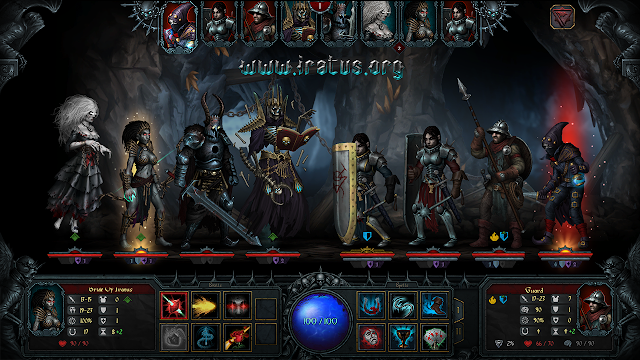 Iratus: Lord of the Dead tells the story of a dark necromancer on a quest for vengeance. After many years dead, he has risen from the grave to reign terror on a world that has grown too comfortable for his liking. Finally ready to strike, gamers will take up his grisly (if sardonic) mantle and rebuild an army to defeat the pesky heroes that have taken residence underground. "As you can tell, we were heavily inspired by our love for turn-based strategy games, we love dark humor and so set out to create a darkest dungeon meets dungeon keeper experience," Said Denis Fedorov, lead developer at Unfrozen Studios. "We wanted to create something that was unique but familiar at the same time and so we created a combat system that on the surface players will be right at home with but once in, you'll see things you were expecting and unique twists throughout the mechanics." Whereas in most RPGs you're looking to earn loot, in Iratus, because you're playing as a necromancer, you're actually more interested in the dead bodies of the heroes your minions have slain. These bodies allow you to "craft" more minions, and a wider variety of minions. It's morbid, sure, but if it's delivered with the right approach, it could also be very amusing. This is an ambitious project. When you start working in those upper echelons of game difficulty, as Darkest Dungeon does, hitting the right balance between challenge and reward can be very difficult indeed, and for every success story (like Darkest Dungeon was) there are innumerable failed attempts. One weapon Unfrozen brings to the table is the involvement of Oles Ivanchenko, who is apparently a well known videoblogger and who has written detailed manuals for Darkest Dungeon and other roguelikes. His understanding of the mechanics of these kinds of games should help Iratus' balance significantly. 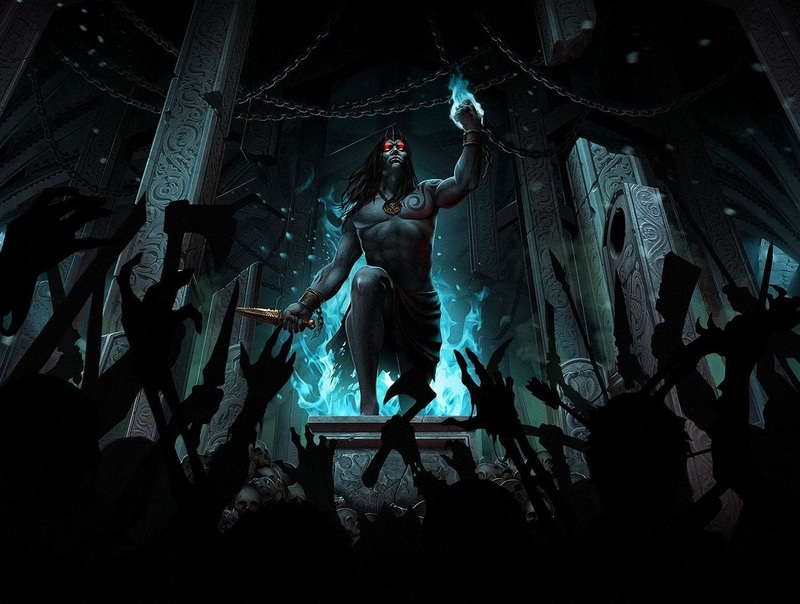 The game's slated for an Early Access launch in the second quarter of the year. There's only a PC release on the cards at this stage.